Description: Makihige Totsuzenhen'i is a Bloodlimit ability of the Hirotiro Clan, considered a "Technique" due to the fact that its one of their many capabilities. By feeding the virus chakra, and giving commands, the host, Axel, can make either his fingers into thick tendrils of a rough, scale-like skin, or make his entire arm a longer and bigger tendril. These have limited strength, most likely able to break branches if using force, or bind the opponent with enough effort. 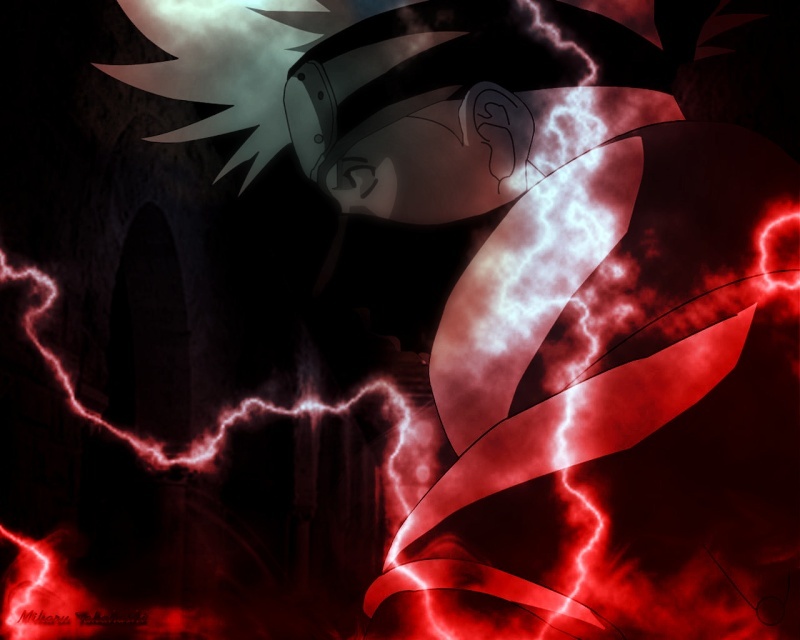 Description: Chikatetsu Inbēdā uses the Tendril Mutation to put the tendril(s) underground, seeping into the earth. They will travel through the ground as he orders, and rise above the opponent, attempting to stab, or grab the opponent into place. The tendrils are sharp enough to easily pierce skin with speed, and can easily hold down the feet if grabbed onto both. Description: Tsume Totsuzenhen'i is another ability of the Hirotiro Clan. By using the same idea as for the Tendril Mutation, the virus will make the hands twice-to-thriple the normal size, forming "claws" as well, with the long fingers ensuring the opponent would get cut if they were mere feet away. Description: Yubi Raijingu uses the "Claw Mutation," to do a similar act to that of the Underground Invaders technique. The fingers of the claws will be thrusted into the ground, with a larger version of them sprouting from the ground, rising nine-feet into the air, right below the opponent to attempt a fatal blow. Description: Suji Totsuzenhen'i is another mutation for the Hirotiro Clan. By using the virus inside, the clan member will make them expand the muscles on the chosen body part (normally the arms and hands) so it's strength will increase exponentially. 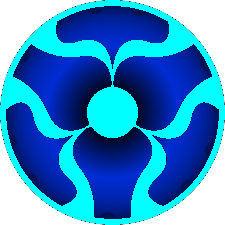 This increases blows to the enemy body, though reduces speed. Description: Jishin is a technique for the Muscle Mutation skill for the Hirotiro Clan's bloodlimit. Jishin involves focusing the strength of both limbs with the increased muscle, causing a stunning quake in the ground. This quake will most likely make the opponent stop due to the shaking of the ground, but is only truly used as a deterrent. 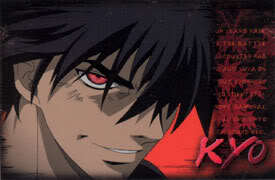 Description: Keido No Kansen is a Bloodlimit technique created by Axel. Due to his Hirotiro bloodlimit of infecting living things, he can place his hand on a living thing to infect it to his will. However, since Animals have a beastial nature, he can only infect them until their body rejects the will of the infestation. This is usually after about three-to-five minutes (two turns). The technique, if used on plant-life, can take full control for an extended period, ranging fifteen to twenty minutes, ending when the chakra they use is exhausted (a page). However, due to this techniques rank, it is only used as a distraction for him when he first makes it. The infection can make the plants length increase, and make sharp thorns sprout in normally thorn-less plants. Animals may grow horns, and have increased rage towards the opponent. They become quite vicious like a Hirotiro member would become. Description: Shita Burēdo is a Mutation of the Hirotiro Clan. Used primarily on downed opponent's, the Tongue Blade extends several yards (5) out from Axel's mouth, preparing to puncture the body of the weakened opponent. This is most usually done as a finishing blow to the head, but can vary to places like the chest or the neck. Description: Furainguenbureisu is a supplementary mutation of the Hirotiro Clan. By using the virus, Axel is able to spawn aerodynamic bones in his spinal area, forming human-like skin over it. Using this, he can fly from area to area with relative ease. Due to it being an easier mutation, it is less-involved with using chakra, saving some for when he needs it. Description: Bestial Transformation Technique is a technique made by Axel, which reverts him to killer instincts. This technique is bad for his mentality, and sanity in battle, though. He reverts to a form mimicking a Werewolf in ability, having a muscular physique, claws, and enhanced senses. He is caught in bloodlust in this transformation, and has great hunting abilities. He could only use chakra in this form in the ability of something similar to Trench Knives, extending his claws reach with chakra; the only other usage of chakra would be reverting to his normal, human form. His claws, senses, muscular physique, and all around increased attributes (Speed, Agility, Strength, and Stamina) make him a more difficult opponent to fight and hide from. Description: Forbidden Attackers is a technique of Axel's design, using his virus in a dangerous manner. Since they could kill their host when placed inside their body, he uses their dangerous methods to simply attack the opponent's body. He uses chakra to send them into his opponent's body, via touch of the skin or clothing upon their body, them attacking organs. Due to the small amount, they can do less damage, but in a more quantitative variation of the technique, they can do farther greater damage to the opponent's body. Description: Assassin Gauntlets allows a Body-Item fusion with Axel and two senbon, each in one hand. The virus will cause the senbons to be absorbed, and from the lowest skin-patch of his hands. They are typical in size, able to reach targets in-close vicinity, making it a hand to hand combat weapon from his body. Description: Healing Factor is a Bloodlimit skill that Axel devised. By making a seal on his flesh, or skin, he is able to use the opponent's, or foreign blood used to make the seal as a healing product. This only heals minor wounds, unlike his advanced technique. Description: Death Steal is a Fuinjutsu only possible through Axel's bloodlimit. He marks a seal with the target's blood on their corpse, allowing him to store their body in his in the form of a blood-like substance that enters the pores of Axel's skin. Through this, he gains their memories, technique knowledge (minus elemental ninjutsu, not Genjutsu, which he could learn how to do from his first victim), and a permanent extension of his chakra capacity, allowing him more action in future fights. Sin Pawns: Animals gathered by Axel to help him in battle, but only after feeding them his virus forcibly did he make them into what they are now. They are very dangerous, and attributes vary. To be continued. Rank: Have no set rank. Description: Yokubō is one of his Sin Pawns, each being a respective forbidden sin member in appearance, named for a sin of Axel's choosing. Yokubō,the dog, despite appearance, has great speed and stamina, and has the ability to grow it's fangs and claws longer. The best trait though, is that it cannot be killed as easily as its expected, since it's pretty messed up from having the virus inside of it. Description: Senbō is a Sin Pawn, once a frog, but is not a mutated being storing a part of the Hirotiro Virus inside of it. He has great agility and strength, but no speed to back it up. He uses his strength, and agility to make quick, powerful strikes, while also keeping a distance when his opponent tries to counter. Whenever he wins a fight, he will start gnawing off limbs given the 'OK' and soon enough consume the entire body of the opponent. Approved but where were these trained?